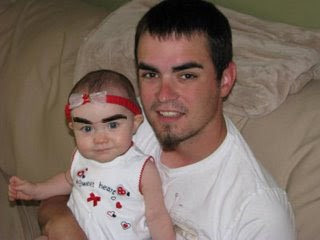 it's a good thing that Laci will know how to take care of those eyebrows for Ella when she gets older. WOW! That's wonderful and a seriously accurate representation. NOT FUNNY! !..ok maybe a little..but still! !